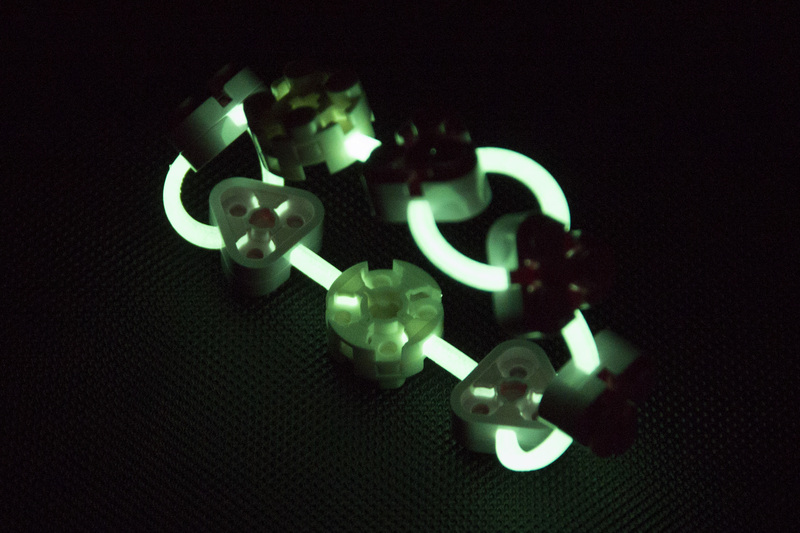 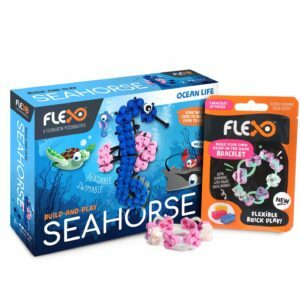 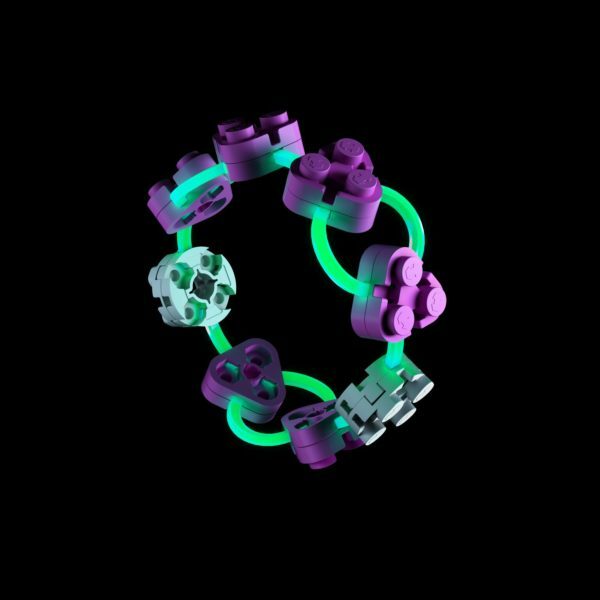 The Flexo GID (Glow in the Dark) Bracelet is a cute and stylish introduction to the world of wearable Flexo. 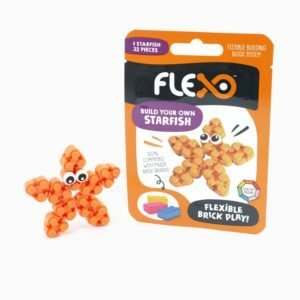 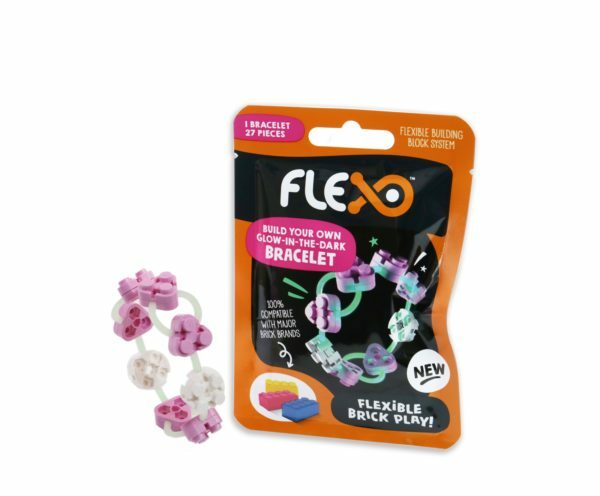 Use the included Flexo Bricks to create a fun and original Bracelet that you can see in the dark! 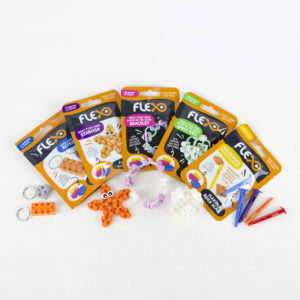 This pack makes a great little gift for kids who like to wear their creations (but also their fantastic parents!) 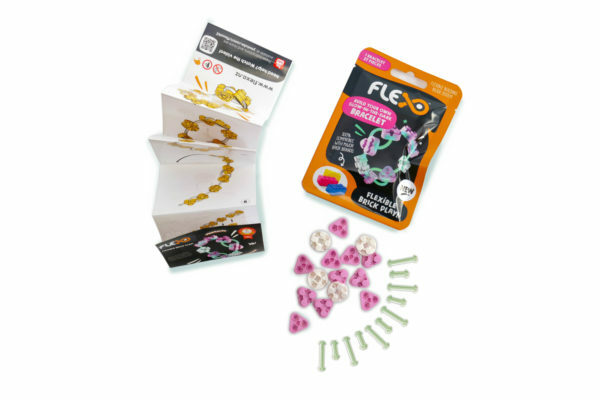 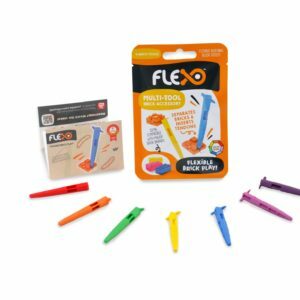 The Flexo GID Bracelet Foil Pack includes: • 27 pieces (16x Bricks, 11x GID Tendons). 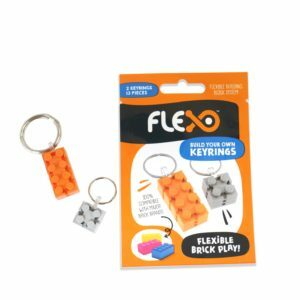 Everything is included but in case you wanted to add some decorations, our bricks are 100% compatible with major brick brands.